Can you confirm these amateur observations of Teius oculatus? Comment Synonymy after Cei 1993. 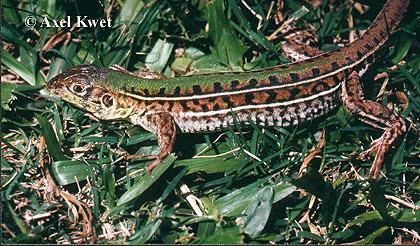 Listed as Ameiva oculata in the synonymy of Callopistes maculatus maculatus by PETERS & DONOSO-BARROS 1970: 88. In many collections, specimens of Teius oculatus are frequently misidentified. 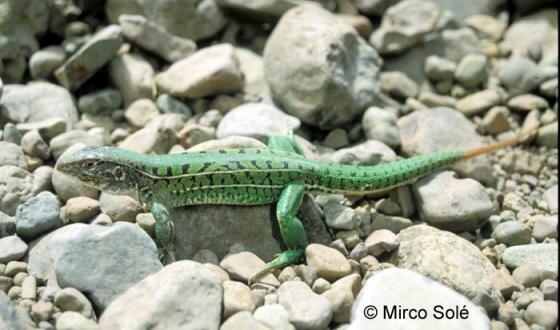 Recent keys (e.g., Cei 1993; Peters & Donoso-Barros 1970) and reviews (e.g., Avila & Martori 1991) are not very helpful for identifying these lizards. 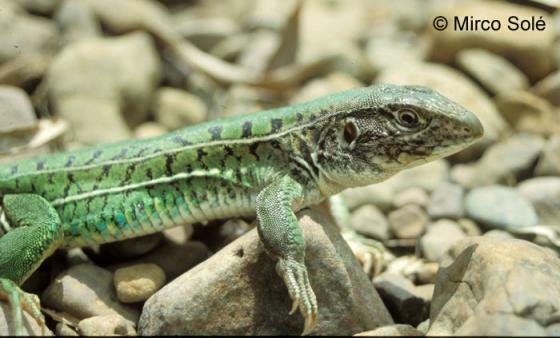 Available descriptions of the unisexual species T. suquiensis are so incomplete, that we had little option but to ignore this species in our generic account. Nonetheless, the bisexual species are remarkably different from one another. Unlike T. oculatus (characters in parentheses), T. teyou has parietals arrayed in oblique rows and separated by small scales (three regular parietals), ten longitudinal ventral rows (eight), and keeled proximal subcaudals (smooth). The habitus of these species is strikingly different. Teius oculatus is much shorter and more robust than T. teyou. The rostral frequently contacts the prefrontal in T. oculatus; we have not observed this trait in T. teyou [HARVEY et a. 2012]. Distribution: see map in Cacciali et al. 2016: Fig. 1.